My grandmother was particular about her tea. She insisted that she drink her tea from a glass. I didn't realize until much later just how unusual this was, because we all drank our tea from a glass, at least, in our home. It had to be pipin' hot, so that when she poured scalding hot water from the kettle, she needed to have a spoon in it to prevent the glass from cracking, which it sometimes did anyway. When Aunt Lucy came over, the two sisters went through an elaborate ritual in preparing their tea and then, they'd talk for hours. Tea time was a time for conversation. By the time I got to Toronto, where I lived for 11 years, attending elementary, junior, senior high school and then college, I learned that the ritual for drinking tea was even more elaborate than my grandmother observed. Now it involved fine china and a tea pot and loose tea in a tea ball. One thing that was common to the ritual was that conversation was the central purpose of a good cup of tea. It was time to speak, but even more important, it was time to listen. It was in the exchange of ideas, convictions and knowledge that I discovered wisdom grew and I came to appreciate the sacred space that conversation provides. I also learned what it meant to "hot the pot". 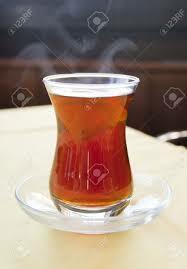 Across the contininents and across the cultures a cup of tea symbolizes something precious in human relationships. It symbolizes peacemaking. 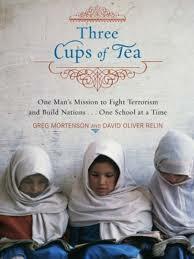 In 2007, Greg Mortenson and David Oliver Relin published "Three Cups of Tea: One Man's Quest for Peace...One School at a Time". The book was on the New York Times best seller list for three years. The thesis of the book is that "religious extremism can be deterred by collaborative efforts to alleviate poverty and improve access to education." (Wikipedia article.) Mortenson faced daunting challenges in Pakistan and Afghanistan as he worked out the particulars of such a vision, including charges of fraud and hypocracy. As the old saying says "no good deed goes unpunished". What I would like to explore with you today is the idea of "God's cup of tea". We begin today with the first reading about a woman providing for her family. A man can also take his position in providing for the family and how we do that may be in traditional, reversed, or otherwise amended roles to suit the customs of cultural context. In fact, as we now know, two men or two women may also provide for their families or one another lovingly and wisely. Whatever the specifics it is in the very being of our lives that we are called by the psalmist to "delight in the law of God and meditate on that law day and night". Whether it is in our family lives, in our friendships, at work or at school, it is critical that we take the time to know each other, listen to one another, and learn from one another. This is the beginning of wisdom. The scripture places a high value on Wisdom. James tells us in today's lesson;; "Show by your good life that your works are done with gentleness born of wisdom." Wisdom, I submit to you, is "God's cup of tea." Otherwise, as James continues, "if you have bitter envy and selfish ambition in your hearts" then all kinds of conflict arises. Even in the Gospel for the day, the disciples were fussing about who would be the greatest in the kingdom of heaven. James concludes his thoughts with a sobering reminder that, these conflicts and disputes, unchecked long enough and intensely enough result in murder. Really! Isn't that a bit overstated James? Not if you read the papers. Apparently a child's cries went unheard from those who were taken in by addiction. And the child's cries were silenced by violence. 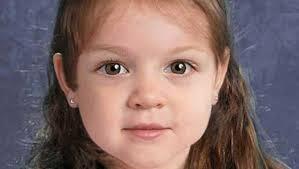 She is no longer "Baby Doe" she is, she was, God love her soul, "Bella", the beautiful, she who now lives in the everlasting arms; where now, all her tears are wiped away. My friends; you and I are required by the law and love of God to practice of the presence of God. It is God's intention that we come together in peace and practice the art of wisdom, a wisdom we gain perhaps over a cup of tea, and within the context of much conversation. As James so equisitely expresses it; "The Wisdom from above is first pure, then peaceable, gentle, willing to yield, full of mercy and good fruits, without a trace of partiality or hypocracy." And that, my friends, is God's cup of tea. We are a nation where the art of conversation is rare. Our parliamentary process in Congress is such that strident conviction often short circuits communication. The logjam in a deadlocked Congress finds it root in the inability to cultivate something as fundamental to peacemaking as having a conversation. After all, the very word "parliament" means to have a place to talk. Having a place to talk, to listen, to learn, perhaps to have a cup of tea is missing in so many of our modern relationships. It is the missing ingredient at national, local, and even family and personal levels. James says; "Resist the devil, and the devil will flee from you. Draw near to God, and God will draw near to you". This is what our worship is for week by week. It is to celebrate the nearness of God to us. Here is where we come to recognize that the kingdom of heaven is near at hand, within us and among us. We worship God not because God needs us to say how good God is. We worship God because deep within us God is encouraging us to be at peace within ourselves and with one another. The purpose of our praise is to listen to God deep within the soul. The scripture and the sacrament are the primary means by which God speaks to our hearts to remind us that God's kingdom is close, very close indeed. Without such a closeness and such a praise, we will always succomb to conflict and dispute, indeed taken to extreme it results in violence, murder...indeed it results in warfare. 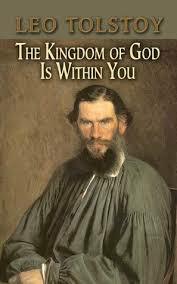 In 1898 Leo Tolstoy published a book called; "The Kingdom of God is within you". It was banned by the Russian Orthodox Church, because Tolstoy suggested that warfare itself was an affrontery to the Christian faith and the established church in Russia not only participated in warfare but in the oppression of the poor. Gandhi and Tolstoy communicated with one another and Martin Luther King followed in the tradition of non violent resistence. The idea of building God's kingdom within us this way has left a permanent mark in modern history in India and in the struggles for civil rights in the United States. The Kingdom of Heaven is within us. At least that's what Jesus says in Luke 17:21. The kingdom of heaven is at hand. The kingdom of heaven is near. Again and again Jesus points to the presence of God within and among us. Perhaps if we lower our voices and listen to one another over a cup of tea, for instance, wisdom will have a place to flower within us. Years ago I learned that to listen to another human being required a four step process. We called it the LAPS strategy. Too often if we hear someone say something we disagree with we react first and think later. The LAPS stategy suggests we listen first, allow even if we profoundly disagree, probe a person's heart and soul to find out mre and then support them...find something in what they say to hear and agree to. Then and only then are we in a position to respond, and when we do we'll be in a better position to respond rather than react. My grandmother, often said, when someone came through the door with a perplexity, a heartache or even a tone of anger; "Put the kettle on! Let's just sit down and have a cup of tea." How I pray for God's cup of tea in our time. As we sip on a pipin' hot cup of tea may we discover the kingdom of heaven living within and among us.